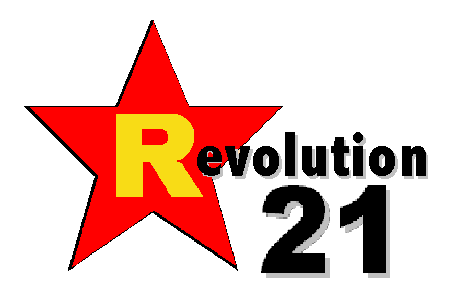 Revolution 21's Blog for the People: It depends on WHICH law, now, doesn't it? 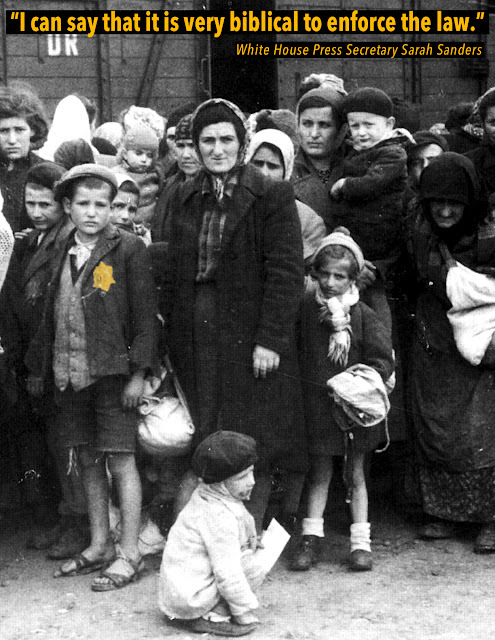 Just when you think the Trump Administration surely can sink no lower, some kakistocrat in the executive branch looks at you, smirks and says "Hold my Zyklon B." Today in Berlin-am-Potomac, there was the daily White House press briefing with Obergruppenlügner Sarah Huckabee Sanders, and the subject of children being forcibly wrested from their asylum-seeking parents at the Mexican border came up. Acosta had asked Sanders about Attorney General Jeff Sessions's attempt, earlier in the day, to use the Bible to justify the Trump administration's immigration policies, which include splitting up families that arrive at U.S. borders seeking asylum. “I would cite you to the Apostle Paul and his clear and wise command in Romans 13 to obey the laws of the government because God has ordained them for the purpose of order,” Sessions said in Fort Wayne, Ind. “Where in the Bible does it say that it's moral to take children away from their mothers?” Acosta asked. Sanders gave the next question to CBS's Paula Reid, who performed an on-the-spot fact-check.